Finn Wolfhard's co-stars have his back. The 14-year-old "Stranger Things" star was caught in an awkward spot when the teenage actor was videotaped walking into his hotel. Some fans criticized him after seeing the video, which has since been deleted, because he reportedly did not stop to take pictures or sign autographs. However, his fellow stars quickly came to his defense, tweeting fierce support for the star for simply going about his day. "Okay, no. No actor is under any obligation to stop for anyone," his co-star Shannon Purser, known to fans of the series as Barb, wrote online. "Finn is an incredibly kind human. But he's human and he needs breaks too." As Purser continued in a chain of tweets, the 20 year old pointed out Wolfhard is still a kid who needs his alone time. "I experience this on a significantly smaller scale, obviously, but I've had people waiting for me in hotel lobbies, at my airport gate, etc...And I'm an adult. I can't imagine being inundated with all this attention at his age. It's intimidating." "So, from one big sister to the world, don't you DARE make young actors feel guilty or indebted to you because they couldn't say hi," she concluded. "They give you their art. They love their fans. Don't take advantage of that. And if you can't handle them needing space, stay away." 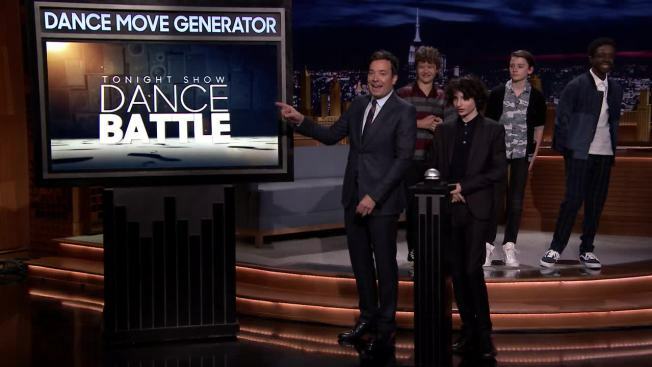 "So true," 13-year-old co-star Noah Schnapp responded. "We really love the fans. Finn is the nicest guy u will ever know. we all work so hard, and need a break sometimes. #Compassion." While Wolfhard has not said anything about the criticism, he hasr esponded by liking some supportive tweets from fans.